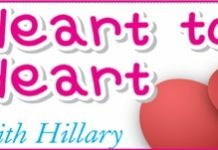 Home Blogs Heart to Heart with Hillary Age brings wisdom? How did us single farangs get along before you? Though I am told that you are older than Methusala (not sure of the spelling, but you know who I mean). How do you keep up answers for the fellows who get themselves in trouble every week? I’ve no problems, a nice little fan who cuts my nails and never complains, but what about the rest of them? Your concept was right, but your spelling a bit off. The gentleman you were referring to as being as old as Hillary, was Methuselah. That fine old gentleman lived to be 969 years old and died seven days before Noah’s great flood and was actually Noah’s grandfather. As you can see, he hopped off at the right time, as legend has it that he couldn’t swim. There are no worries about floods this year as you can walk across Mabprachan lake! Now about all the local farangs that you are worried about – stop worrying, my Petal. Most fix their own problems, and it is only a few that have to call on my inestimable (big word for a Friday) advice. I’m glad you are not having any problems with the toe cutter gang (get the movie Mad Max on DVD) and hope that life for you continues without complaints. Close the bars! The Good girls are coming!